2: Oral history video excerpt, David Mazower on Sholem Asch, “He was a Hugely Dramatic Personality,” 2011. This is an excerpt from an oral history interview done with David Mazower, Sholem Asch’s great-grandson. Mazower, who was born and raised in London, is a journalist, collector of rare Yiddish books, and researcher of Yiddish theatre. He currently works at the Yiddish Book Center as bibliographer and co-editor of Pakn Treger, the Center’s journal. Suggested Activity. Watch the video, then discuss in small groups: what kind of person does Asch seem to have been? Consider both Mazower's comments, and what writing of Asch's you have read. What are the advantages and disadvantages of learning about a historic or literary figure from a descendant, enough generations away to have never met the figure, but close enough to have heard family stories about him from those who knew him personally? Source: David Mazower, “He Was a Hugely Dramatic Personality,” excerpt of interview by Hillary Ossip at the Yiddish Book Center in Amherst, MA (Yiddish Book Center’s Wexler Oral History Project, February 28, 2011), <www.yiddishbookcenter.org/collections/oral-histories/excerpts/woh-ex-0000208/he-was-hugely-dramatic-personality>, accessed February 3, 2018. 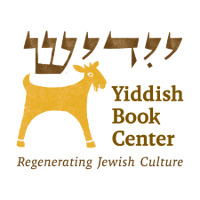 For the complete interview with Mazower: <https://www.yiddishbookcenter.org/collections/oral-histories/interviews/woh-fi-0000074/david-mazower-2011>, accessed February 3, 2018.